It’s next to impossible to go through life without accruing some debt. The good news is that some loans can be healthy and even productive, which means there’s no rush to pay them off. Other debts should be erased more quickly. Here are a few examples of debt that can help — and hurt — your financial health. As overwhelming as education loans can be, how you handle this debt can actually boost your credit. The three major credit bureaus — Experian, TransUnion and Equifax — consider this debt as a type of installment loan. So if you make payments in full and on time each month, you build up a good credit history, which future lenders will recognize. More specifically, properly handling student debt can boost your credit score. Education loans can also help decrease your taxable income. On your federal tax return, the interest you pay on loans can be deductible up to $2,500 or the amount you paid, whichever is lower, provided you meet certain qualifications. Plus, student loans tend to have more manageable interest rates, in the single digits, compared with other forms of debt such as credit card balances. The standard amount of time to repay federal education loans is 10 to 25 years, depending on the loan. Like student debt, a mortgage is an installment loan. As long as you make monthly payments in full and on time, you can maintain or improve your credit. The interest you pay can also be tax-deductible. Mortgage rates and terms can vary, which can affect their quality as good or bad debt. A fixed-rate loan’s payments won’t change over its term, which can make paying it easier to manage. Paying an adjustable-rate mortgage can be more challenging after any fixed-rate introductory period ends if the market pushes the rate — and the payment — higher. You can help your credit score rise by making full payments on time on an auto loan. 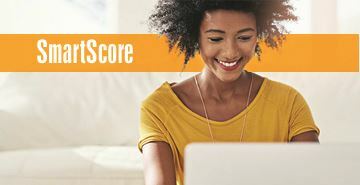 You’ll also help your auto-enhanced score, which looks at auto credit history, including any vehicle repossessions or bankruptcy effects. But cars depreciate with time and use, so try to avoid winding up owing more than a car is worth. This can happen if you latch onto a loan that doesn’t require a down payment, or where the monthly payments are low and the loan lasts for six or more years. A credit card gives you access to a revolving line of credit, meaning you can use as much as the card limit, pay the money back and borrow it again. If you overuse a card, though, your credit score can drop. With cards typically carrying a double-digit rate, keeping an outstanding balance can mean paying thousands of dollars extra over time. The average household with a card balance owed $15,355 as of the third quarter of 2015. Short-term loans, either from payday lenders or lenders that demand property such as an auto title as collateral, can ensnare borrowers in debt traps and lead to property losses while the annual interest rate can soar to over 400%, according to federal regulators. This is one of the most potentially harmful sorts of borrowing. Whether debt is good or bad relates to how it may affect your finances. Using debt to invest in your home can build equity, and education debt can lead to a better job, both of which can pay off later on. Short-term borrowing and carrying high-cost balances are both unproductive and harmful to your credit. When weighing whether to take on debt, make sure it’s affordable so your financial health remains strong.